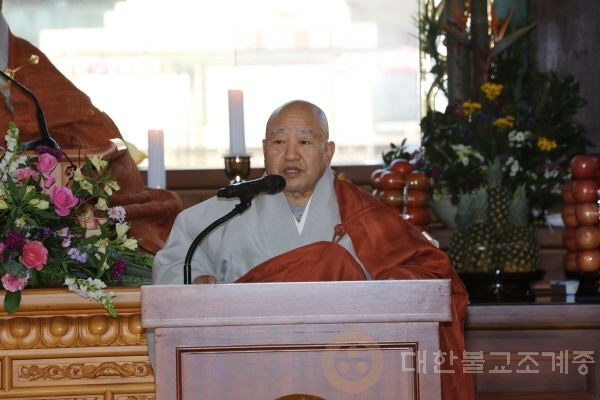 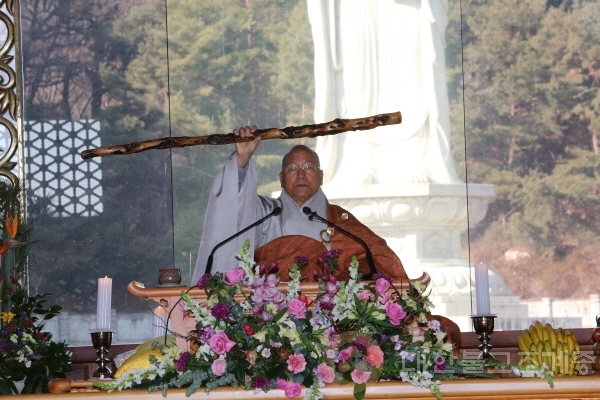 In a Dharma talk given to celebrate the Year of the Golden Pig, Buddhist Era 2563, His Eminence Supreme Patriarch Jinje of the Jogye Order counselled the assembly to share and be with the less fortunate of our neighbors and revive the Korean Buddhism by encouraging the harmony and solidarity within the Buddhist community. 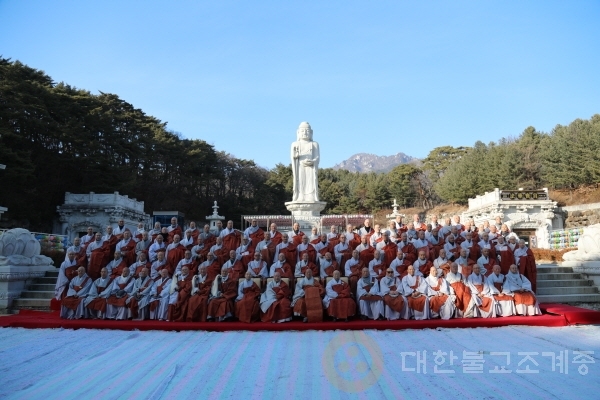 The Dharma assembly on the occasion of the New Year was followed by the ceremony inaugurating those who have newly acceded to the rank of daejong-sa, a title reserved only for the most eminent monks and nuns of more than 40 years of service with impeccable reputations for both learning and practice. 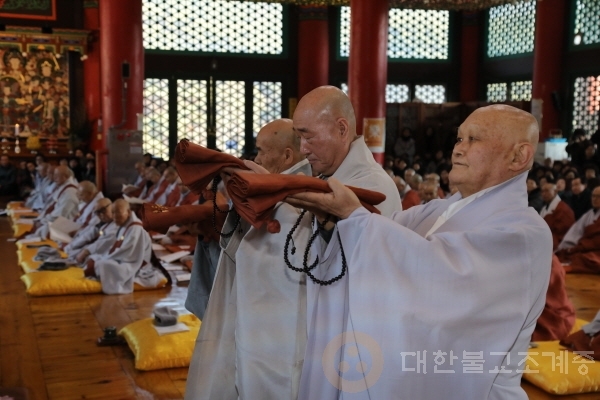 Commanding the highest respect for their leadership within the Order as well as the depth of their spiritual enlightenment, they are nominated by the Precept Committee and the Elder’s Council and confirmed by the Central Council. 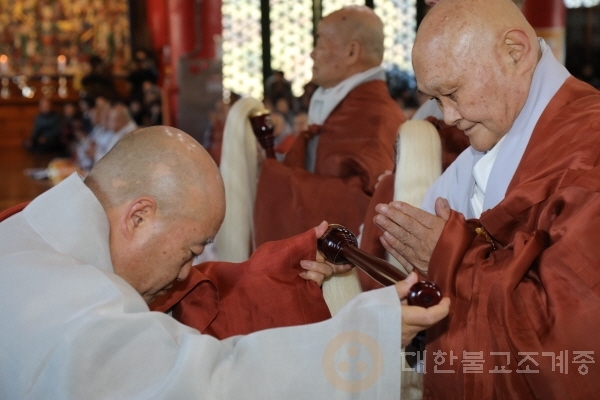 The ceremony is also presided by the Supreme Patriarch of the Jogye Order.